Nicole is a registered Traditional Chinese Medicine Practitioner (R.TCMP) with the College of Traditional Chinese Medicine Practitioners and Acupuncturists of B.C. She graduated with a Bachelor of Science from the University of Alberta in 2007, then went on to graduate with distinction from the Acupuncture program at MacEwan University in Edmonton, AB. While running a successful Acupuncture practice in Victoria, BC, Nicole continued her education and completed the Traditional Chinese Medicine Practitoner program at Oshio College of Acupuncture and Herbal Medicine. Nicole is very dedicated and passionate about helping women and men with their fertility and reproductive health. After studying with international leaders in the field of fertility and reproductive medicine, she became a board certified Fellow of the American Board of Oriental and Reproductive Medicine (ABORM), becoming the first person in BC’s interior to receive this designation. Nicole focuses on supporting women through their different stages of life and aims to help these transitions flow as smoothly as possible. integrative cancer training from the Memorial Sloan Kettering Cancer Centre in New York and offers support to patients to help alleviate symptoms of conventional cancer treatment. and wellbeing. 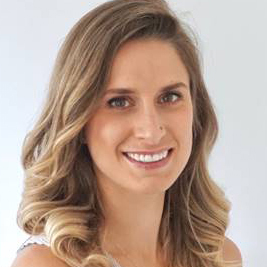 Using a variety of modalities such as acupuncture, chinese herbal medicine, functional medicine, dietary counselling, cupping and gua sha, Nicole focuses on creating an individualized treatment plan to target the root cause of her patients symptoms. Nicole is very excited to be practising in her hometown of Salmon Arm and feels honored to be working with the fantastic staff at Lakeside Health. In her free time, Nicole enjoys practising yoga, travelling, biking, camping, and paddle boarding on the beautiful Shuswap! If you would like to book a treatment with Nicole, call 250-833-5899 or book online.